In this passage, Jesus straightforwardly talks about Noah as a real person (who was His ancestor—Luke 3:36), the Ark as a real vessel, and the Flood as a real event. 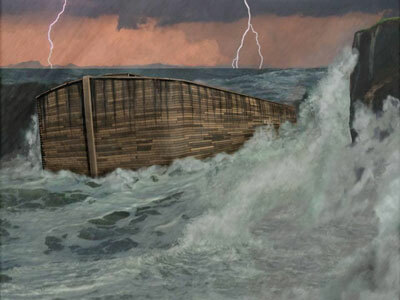 However, anyone familiar with our arguments should have no trouble demolishing Jeremy Bowen’s willingly ignorant attacks in Did Noah really build an ark? from the BBC website. The following article refutes Bowen’s article point by point. [Editor’s note: Since we downloaded this article to rebut it on 19 March, there have been several small, but not insignificant changes. They are reflected in the BBC text below with editor’s notes such as this.] We also have a few comments on the BBC program itself—so far shown only in the UK, so we thank Dr Monty White–UK for his report. 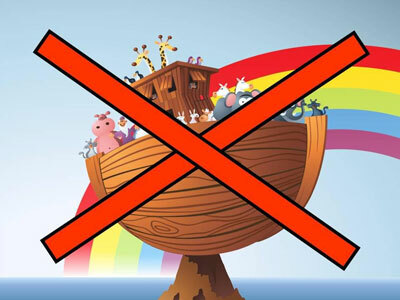 Nowhere in the Bible does it say that God told Noah that he had seven days to build the ark. A simple reading of the Flood account in Genesis 6–9 will reveal this. The seven days refers to the loading of the Ark. Bowen’s crass blunder speaks volumes about his intellectual laziness and shows why he has no credibility whatever. But Noah had about 70 years to build the Ark, as can be deduced from the chronological data. Noah was 500 when his first son (Japheth) was born (Genesis 5:32). (Note that Shem had Arphaxad 2 years after the Flood, when he was 100 (Gen. 11:10), therefore Shem was only 98 when the Flood came. Ham is stated to be the youngest (Gen. 9:24)). But when God gave Noah instructions to build the Ark, it was to hold Noah’s three sons and their wives (Gen. 6:14–18), so allow 30 years for them to become old enough to marry. … and load a pair of every species [Editor’s note: ‘species’ has been changed to ‘kind’] of animal before a great flood engulfs the world. Again, no where in the Bible does it say that Noah was to load a pair of each ‘species’. The Bible is clear that it was ‘kinds’, not ‘species’. There is a distinct difference, as explained in Ligers and wholphins? What next? Also, Noah had to take only land vertebrates aboard—marine creatures, plants and invertebrates could survive off the Ark, as explained in How did all the animals fit on Noah’s Ark? It is widely regarded as a myth, but could it actually be true? The story of Noah and his ark is one which sticks in the minds of children and never gets forgotten. Unfortunately, far too many children have the wrong image stuck into their minds because of the bathtub arks in so many children’s Bible story books, instead of the true size and shape. See How innocent are ‘bathtub arks’? God warned Noah—the only good man left in a world full of corruption and violence—to prepare for a great flood. With his sons he built a great ark and the animals marched in two by two. Seven pairs of the clean animals, which were a small fraction. By the time the rain started to fall, Noah was ready. The ark was a refuge until the waters went down, leaving Noah and his menagerie high and dry on Mount Ararat. This isn’t too bad until it says ‘Mount Ararat’. The Bible doesn’t say the Ark rested on Mount Ararat, it says the ‘mountains of Ararat’ which is a large range including much of eastern Turkey and parts of western Iran. There are many problems with the story. [Editor’s note: This sentence now begins ‘If the story is taken literally,] It would have taken 35 years for Noah and his family to load [Editor’s note: now ‘two of every animal on earth.’] the animals. Of course this is due to a massive overinflation of estimated animals because of the failure in understanding the difference between species and kinds, and piling on all types of creatures instead of only the land vertebrates. In reality, Noah would have needed to load only 16,000 animals. Even large 100-kg pigs can be killed and processed in slaughterhouses at 1,000 per hour. Under divine direction, the animals could have boarded and been directed to their enclosures in as little as five hours. And this is a conservative estimate, since smaller animals could board even faster, and the median size would have been only about that of a small rat. 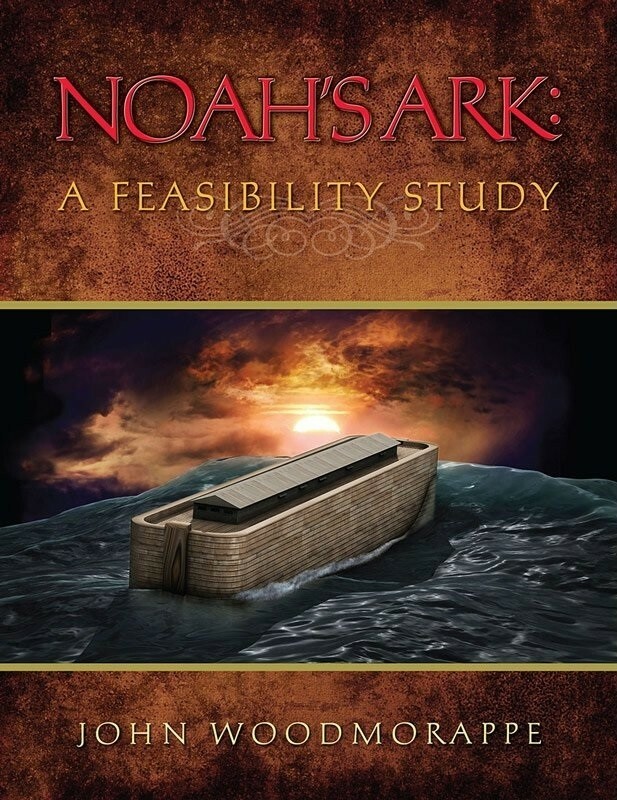 John Woodmorappe, in his book Noah’s Ark: A Feasibility Study, made calculations that clearly indicate the size of Noah’s Ark could easily have held the animals God told Noah to take. 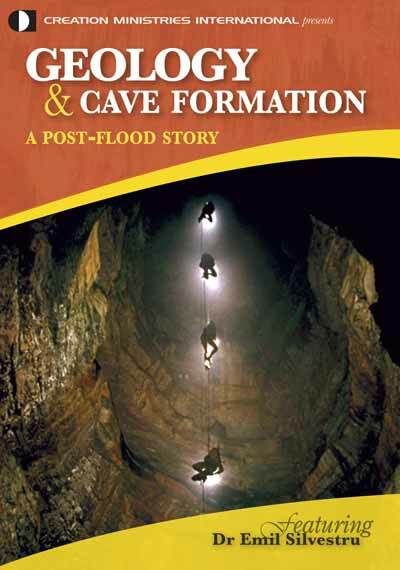 And a flood that engulfed the Earth would have left a signature for geologists—yet none has been found. What would one expect to find with a worldwide flood that killed and buried everything? One would expect to find billions of dead things buried in sedimentary rock layers laid down by water all over the world. Does anything like this exist? Of course—it is called the fossil record. The reason people don’t find the evidence for the Flood is that they have rejected the Flood a priori! This is clear from the ‘father of uniformitarian geology’, James Hutton—see his assertion. It’s notable who the BBC program used as their ‘expert’. It was the atheistic mining geologist Ian Plimer, whose obsessive attacks on creation and the Bible have been formally and ethically discredited (see Plimer Files) in the public arena (along with much of the science he put forward to support them). Of course, the BBC didn’t reveal his track record, nor that he signed for membership of a humanist organization formally dedicated to the eradication of the supernatural (i.e. God) from society. Perhaps not surprisingly, Plimer didn’t mention the fossil record itself as being what creationists maintain is the evidence for the global Flood, even though he knows our stance very well. A different reading of the Bible? It appears as though the author hasn’t even read the biblical account in the first place. How then can they claim it isn’t as credible as another source? Actually these aren’t a ‘different reading of the Bible’ since the Babylonian sources don’t appear in the Bible. Only in its final form. Jesus affirmed that Moses was the final author of the Pentateuch (Luke 16:31, John 5:46–47). While Moses lived long after the event, it is likely he was actually the editor of far older sources—see Did Moses really write Genesis? For example, Genesis 10:19 gives matter-of-fact directions, ‘as you go toward Sodom and Gomorrah and Admah and Zeboiim’. These were the cities of the plain God destroyed for their extreme wickedness 500 years before Moses. Yet Genesis gives directions at a time when they were well known landmarks, not buried under the Dead Sea. The Babylonian flood account confirms that there were other people groups resulting from the Tower of Babel that were passing along what happened to their ancestors—specifically the Flood. Logically, one would expect the earliest (with respect to other people groups who were scattered) accounts to be from those who were settled nearer to the original Tower of Babel. When they were scattered from Babel in Genesis 10–11, those who settled first would likely be those who traveled the least. Thus, they should have recorded their account prior to other peoples who were scattered from Babel and went to the far reaches of the globe. 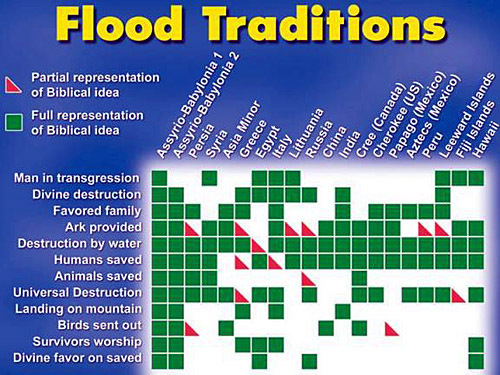 Indeed, there are thousands of flood legends all around the world—see the chart below for some examples (from Monty White). ‘… without their language and its structure, people are rootless. In recording it you are also getting down the stories and folklore. If those are lost a huge part of a people’s history goes. These stories often have a common root that speaks of a real event, not just a myth. For example, every Amazonian society ever studied has a legend about a great flood.’ [cited in Barnett, A., For want of a word, New Scientist 181(2432):44–47, 31 January 2004]. This makes perfect sense if there were a real global Flood as Genesis teaches, and all people groups came from survivors who kept memories of this cataclysm. The Gilgamesh epic can’t explain all these legends, while the biblical account can. However, if one makes the assumption that ‘first implies the most accurate’, then perhaps one should analyze each account. One would expect discrepancies from the true account since it was influenced by fallible man. These dimensions are optimal for both safety and economy of material. Indeed, even if the Ark were tipped over 60°, it would have righted itself. But the cubical dimensions of Utnapishtim’s ark are easily explained—there is only one measurement to pass on instead of three. And a cube is more regular, unlike the rectangular shape of the Ark. The authors of Gilgamesh clearly did not realize the importance of the dimensions of the real Ark. Thus this helps confirm that the Babylonian ark is neither accurate nor scientific, rendering the Gilgamesh account untrustworthy. So it was Noah’s Ark that was original and Gilgamesh the distortion. … and on archaeology and science. The traditional shape of Noah’s Ark comes from the imaginations of 19th Century artists. Actually the dimensions and shape of the ark are listed in Genesis which dates far earlier than the 19th century. … about the size of the Titanic [Editor’s note: the Titanic comparison has been removed]—and experts say it would have broken apart. These so-called experts are ignorant of the historically documented huge wooden vessels of antiquity. They are also reminiscent of the 19th century scientists who claimed that heavier-than-air flying machines were impossible. But just because Victorian shipbuilders might have had trouble building huge ships, it doesn’t mean that they were impossible. Other experts claim the opposite to Bowen’s hand-picked ‘expert’, concluding that if the wood were only 30 cm thick, it could have navigated sea conditions with waves higher than 30 m. Compare this with a tsunami (‘tidal wave’), which is typically only about 10 m high. Note also that there is even less danger from tsunamis, because they are dangerous only near the shore—out at sea, they are hardly noticeable. See Safety Investigation of Noah’s Ark in a Seaway. Also, the Ark could have been strengthened even further if they didn’t use the plank-to-frame method. For example, they could have used a monocoque (French for ‘single shell’) technique—i.e. where the strength is in the shell itself rather than the frame. Also, adjoining planks could have been strengthened with mortice and tenon joints. This is where one piece of wood has fairly thick projections, tenons, that fit into matching sockets drilled into another piece of wood, mortices, forming a very strong joint. This is labour-intensive, so later ship-builders largely abandoned it. This would not have been an issue for Noah. A simple alternative would have been to use several layers of logs instead of planks. Finally, Noah could have used tropical hardwoods, far stronger than the materials of Bowen’s ‘expert’, and the ancients had techniques of hardening wood even more. It’s also important to note that the Ark didn’t need to be compromised for streamlining, because it was designed for floating. Also, the Ark lacked any masts, which made wooden ships vulnerable because of the lever arm they provided for wind. Yet the program portrayed images of building ships like those of Victorian times, with rounded bow and stern and the sides weakened by windows dotted all along. And surprise, surprise, computer modeling showed that such scaled-up ships built on Victorian lines would have collapsed. But as the First Law of Computer Modelling says, ‘garbage in, garbage out’! Even if such a feat of marine engineering had been possible, there are about 30 million species of animals in the world. With Noah’s deadline of a week he would have had to have loaded 50 pairs a second. [Editor’s note: The preceding sentence has been removed from the current version.] For so many creatures, a fleet of enormous arks would have been needed. Again this goes back to the author’s erroneous view of the Ark’s cargo, as noted earlier. The vast majority of species live in water, and would not have needed an ark for surviving the Flood. Geologists have also proved that there is not enough water in the world to cover all the continents, then or now. Actually, there is easily enough water on this globe to cover it with a flood. The author is making a poor assumption that things are the same height today as they were before the Flood of Noah. If the mountains and seafloor were evened out, we have enough water to cover the earth over 1.7 miles deep! It’s also notable that the summit of Mt Everest comprises marine limestone with fossils of bottom-dwelling crinoids—showing that it was once under the sea, as the Bible says! 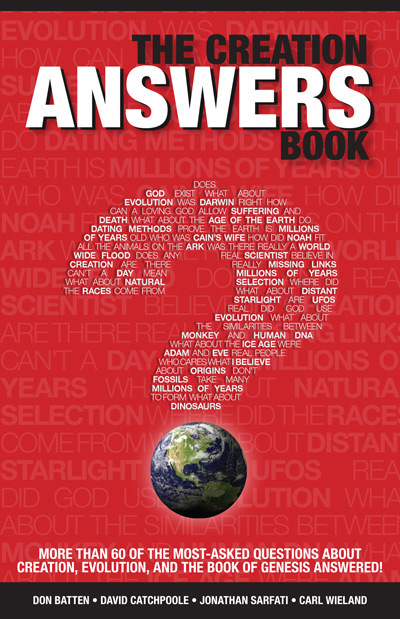 See Noah’s Flood—what about all that water? Interestingly, the same people have no difficulty believing in a massive planetary flood on Mars—even though not a drop of liquid water has to date been detected. But just because the details of this familiar story do not add up, should we turn our backs on Noah and the ark? But we’ve shown they do add up—and actually bothered to read the biblical account, unlike Bowen! So why not trust it? We have to forget the idea that such a huge boat carrying all known animals existed, that it came to rest on Mount Ararat in modern-day Turkey, and that a flood covered the entire Earth. The issue here is presuppositions against the Bible and lack of believable evidence against it; thus they make no dent on the Bible. The issue is simple. One can either trust a perfect God when He speaks or accept fallible man’s ideas. In 1851, British archaeologists discovered hundreds of clay tablets while digging in ancient Babylon. It was 20 years later that British Museum assistant George Smith became the first person to read them. He found the story of Gilgamesh, which bore strong similarities to that of Noah. He was visited by the great gods, who decided there would be a great deluge, told him to make a boat and carry in it the seed of all living things. Further Iraqi texts were discovered, showing the story emerged in Mesopotamia. And in the 1930s conclusive evidence of a huge flood in the area about 5,000 years ago—the time of the story of Noah—was found. This refers to evidence of a local flood. If the Genesis Flood had been local, it would mean that God’s promise (never to send such a flood again) had been broken. There have been many local floods throughout history. It also makes the Bible’s account appear foolish, because what would be the point of birds going on board in a local flood? Further, what local Flood could cover high mountains for months and still remain local? What we know of the culture of what is now Iraq gives the first glimpse of the real-life historical figure behind the myth. Noah might have been king of a city called Shuruppak. He would have had a kilt, a shaven head and eye make-up, like the figures portrayed in artworks created in what was then known as Sumeria. Were you there? This is pure speculation from a fallible man and without any basis in fact. God was there and He didn’t say anything about this. Being that God is perfect and men aren’t, one should continue to trust the Bible’s account. The epic of Gilgamesh says Noah had silver and gold, then the currency of wealthy merchants, suggesting he was a businessman. Bowen is referring to the person, called Utnapishtim, in the epic of Gilgamesh. Utnapishtim survived a global Flood. Instead of building an ark to survive a great flood, he is more likely to have built boats to trade goods like beer, grain and animals. Again this is pure speculation with no basis in fact. All the big trading centres of the era were on the River Euphrates and it was cheaper to move goods by water than land. Sumerians were able to build barges about 20ft in length, and marine archaeologists have not found remains or inscriptions of larger vessels. So? One can agree that Sumerians could have built barges 20 ft or better, but absence of evidence of larger vessels isn’t evidence against. But they believe they would have had the technology to have built a series of barges and used them like pontoons on which a much larger boat, or ark, could have been constructed. What is the documentation for this belief? Parts of the Euphrates were only navigable at certain times of the year, when the waters were deep enough for large boats. First, this assumes that the river is identical today to what it was then. Second, this negates the speculative belief earlier that it would be cheaper to move goods by water than by land—especially if they can’t float their goods on the river. Noah was likely to have waited for the melt waters to arrive in June and July and, if these had combined with a tropical storm, the river could have flooded the Mesopotamian plain. The currents in the area would not have taken him towards Mount Ararat, but out into the Persian Gulf. Life would have been difficult, but they could have survived on the animals and beer on board. Again this is nothing but fanciful storytelling. Perhaps it should have opened with ‘once upon a time in mythical evolutionary thought’ as it has no basis in the factual and credible account in the Bible. However, Bowen makes a good point for once. The physical geography of the area shows that a Mesopotamian flood would indeed carry the Ark away from Ararat. 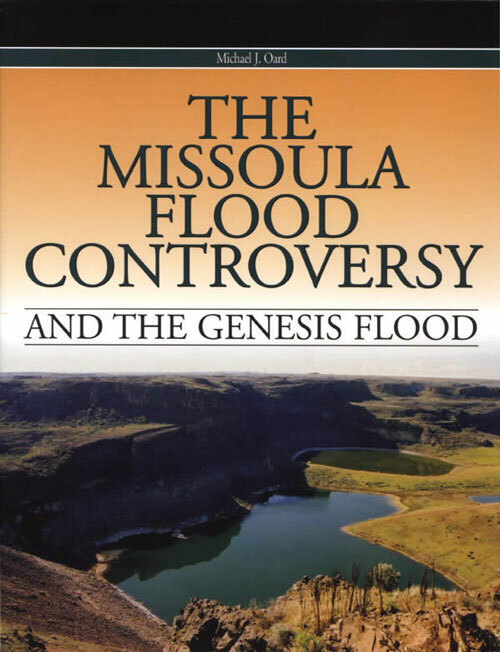 This shows why the local Mesopotamian flood compromise of people like Hugh Ross is a scientific impossibility. One Babylonian text suggests the ark came to rest on what is now the island of Bahrain, providing a very different yet plausible end to the adventure. Again these skewed accounts give archaeological support to the factual account given in the Bible that the Flood, Noah, and the Ark really happened. Could this story have provided the inspiration for the Jewish priests [Editor’s note: now ‘holy men’] who wrote the Book of Genesis 2,000 years later? Jewish priests didn’t write the book of Genesis. Even the internal evidence shows no sign that it was written by Jews in Babylonian exile, but every sign of being written for people who had just come out of Egypt. We have documented this at Did Moses really write Genesis? There is no evidence whatsoever that this fanciful scenario (of Jewish priests hearing of such Babylonian stories) actually took place. … how could they fail to recognise its moral power, that if humankind falls short of God’s laws, there’s a dreadful price to pay. Behind that moral message lies one of the world’s greatest stories. We sincerely don’t think the Flood of Noah is a great story. We think it is a sad reminder that God will judge sin, even today. It is a sign that we are living in a sin-cursed world and things are no longer perfect as God originally created. It is a sign that one day, all will face death. It is also a reminder that Jesus Christ is the only one who can rescue us from this sin-cursed universe. Please see Here’s the Good News. And behind that story we can just glimpse a real man, a real boat and a real adventure. It still fascinates us that Bowen failed to even read the Genesis account of Noah and flatly rejected it, yet takes random passages of broken artifacts and speculation, and concludes that a Noah-like character really existed in a distorted way. For more on the Gilgamesh epic and alleged claims that attempt to destroy biblical authority, see Noah’s Flood and the Gilgamesh Epic, as well as the articles under Was Genesis copied from pagan mythology? Noah did not take fish on the Ark! Full-size Noah’s Ark in Hong Kong!